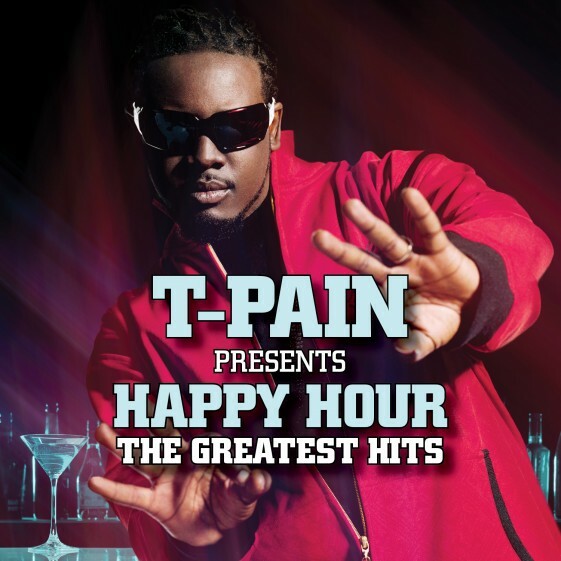 Two-time Grammy Award winner T-Pain, will release T-Pain Presents Happy Hour: The Greatest Hits on November 4, 2014 via Nappy Boy Entertainment/Konvict Muzik/RCA Records. The 13 track project will feature T-Pain’s collection of hit songs including new single, “Drankin’ Patna,” and classics such as “Buy U A Drank (Shawty Snappin’),” “Can’t Believe It” and “I’m N Luv (Wit A Stripper)” among others. Since his debut in 2005, T-Pain has become a fixture on both the radio and sales charts releasing a total of four studio albums. To date, T-Pain has sold over 17 million digital singles as well as 2.3 million albums in the U.S. alone. In addition, the musician has a total of sixteen #1 singles and has produced and/or been featured on over 45 top ten songs.